As promised in an earlier post, I am presenting here an informal response to the article, published recently in Genome Biology and Evolution by Paul Wexler, Eran Elhaik and colleagues (henceforth, Das et al. 2016). To summarize my reaction, I find this article not only wrong in substance but also badly written, with the latter flaw partially concealing both the depth of the problems in the underlying research and the unremarkable ultimate conclusion of the paper is (if it were correct, which I don’t think it is). I will start with exposition issues and move on to the more substantial problems in the second half of the post. To begin with, the authors make it very difficult for a reader to know what they are saying and what they mean by using both technical terms and non-specialist words with meanings that seem to be peculiar to them. For instance, the term substratum is used in this article to mean (as far as I can glean from context) ‘lexical borrowings’, whereas linguists use this term to refer to influences of a language that was supplanted by the target language. For example, in the second sentence of the “Introduction”, they describe their view (which opposes the general consensus) as ascribing to Yiddish “a Slavic origin with strong Iranian and weak Turkic substrata”. For the term substrata to be meaningful here, Yiddish must have supplanted (some) Iranian and Turkic languages. But there is zero evidence—and Das et al. certainly offer none—that non-Jewish Iranian and/or Turkic speakers shifted from their original languages to Yiddish. Moreover, substratal influences are typically grammatical and/or phonological, not merely lexical. Das et al. and the references they cite (mostly to one of the team’s researcher’s own earlier works) offer no convincing evidence of such structural influence of either Iranian or Turkic languages on Yiddish. Or consider the word primeval, which appears both in the title and the text of the article (total 8 times). A dictionary definition of this word is “of or resembling the earliest ages in the history of the world, prehistorical, antediluvian, primordial”. However, the authors do not examine prehistorical events. Rather, their story concerns the events of merely 10-12 centuries ago; medieval would certainly be a more appropriate word. With respect to certain peoples or parts of the word, using prehistorical in reference to the 9th century CE would be accurate, as this term is normally reserved for “the past before the advent of writing”, but when talking about Jewish traders on the Silk Routes, this word choice is hardly appropriate. Is using primeval in this context aimed to impress a reader whose area of expertise is not in the realm of human history? Perhaps. Sloppy and confused understanding of historical geography is another major issue with the Das et al.’s article. Let’s consider three quotes from the article. First, on page 5 the authors describe the consensus view, the so-called “Rhineland hypothesis”, as envisioning two mass migration waves that gave rise to Eastern European Ashkenazi Jewry: the first wave was “from ancient Israel to Roman Empire”, while the second wave “took place in the 13th century, when German Jews allegedly migrated into monolingual Slavic lands and rapidly reproduced via a ‘demographic miracle’”. That is, however, an inaccurate representation of most historical sources, which attribute the biggest wave of eastward migration from Germanic-speaking lands to the 1300s, or the 14th century, particularly to the second half of that century, when, in the wake of the Black Death, the Jews of Western Europe came under attack from their Gentile neighbors, which many Jews escaping prosecution in what is now Poland, Ukraine, and Lithuania, which were considerably less affected by the plague. The 13th century, on the contrary, was relatively peaceful for the Western European Jews, a temporary respite between the persecutions that had resulted from the First and Second Crusades and the persecutions to come in the wake of the Black Death. In the second half of the 13th century especially, the vector of Jewish migration went westward more than eastward: after a massive—and well-documented—destruction of the Jewish Quarter in Kiev in 1240 at the hands of the Mongols, individual surviving Jewish merchants dispersed westward, though there is little historical evidence of the Kiev Jewish community as a whole resettling elsewhere. Further down on the same page in Das et al., we read: “some of the Turkic Khazar rulers and the numerous Eastern Slavs in the Khazar Empire converted to Judaism”. However, the issue of whether the bulk of the Khazarian population, both the Turkic-speaking majority and Slavic-speaking minority, converted to Judaism remains highly controversial. The Judaic conversion of the originally pagan Khazars appears to have happened “top down”, with the Khazar elite converting to Judaism. But whether other social classes followed suit is unclear (cf. Golden 2007a, b). Yet, what I find most peculiar is the way that Das et al. write of (present-day) northeast Turkey, the Khazar Khanate, “Ukrainian and Sorbian (in the eastern German lands)” as the “geographical origins for Yiddish and [Ashkenazi Jews]” as if these terms refer to the same time and place. This could not be further from the truth. The geographical extent of the Khazar Khanate stopped at the Great Caucasus Mountains, an imposing geographical feature that served as a geopolitical boundary throughout most of the known human history; even today, the southern border of the Russian Federation follows the crest of the formidable range. No historical map of the Khazar Khanate that I am aware of shows it as extending to what is now (NE) Turkey. 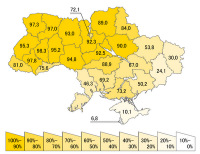 It is true that the Khazar Empire extended as far as Kiev, present-day capital of Ukraine, but one can hardly speak of “Ukraine” or “Ukrainians” as such before the 17th century, long after the fall of the Khazar Empire (see Plohy 2015 for a detailed discussion). In the relevant time period, Kiev was the center of the Kievan Rus’. It is therefore just as appropriate to speak of Russian as Ukrainian roots of Ashkenazi Jewry. Still, Eastern Slavs constituted a minority within the Khazar Khanate. Finally, Sorbian-speaking lands were situated in what is now eastern Germany, not far from today’s Dresden, nearly 900 miles west of Kiev, over 1600 miles west of the former Khazar lands, and over 2000 miles west of the area in NE Turkey, where Das et al. locate the “primeval villages” of the Ashkenazi Jews. Considering all this confusion in time and place, as well as the authors’ peculiar use of terminology, it is not easy to identify what exactly they claim. As far as I can tell from putting together information in the article itself and in the diagram on page 38, which is supposed to provide a summary of the historical picture that Das et al. reconstruct, they claim the following: the roots of Askenazi Jews and of Yiddish are in (what is now) northeastern Turkey, where “Irano-Turko-Slavic merchants” who were Jewish (Jews supposedly had a trade monopoly on the Silk Road; cf. page 5) “invented” a “secret language” that only they would understand. Linguistically, this language had no Germanic elements to begin with; Das et al. state that only later did it acquire some Germanic (or even “Germanoid”; cf. page 19) lexicon. It would indeed be most peculiar if “Irano-Turko-Slavic merchants” in what was then a predominantly Greek-speaking part of the Eastern Roman Empire (until the arrival of the Seljuks some 200 years later, which finally brought with them a Turkic language) were to “invent” a language that was thoroughly Germanic in nature. Yet Das et al. actually state that the “Irano-Turko-Slavic merchants” “invented” an East Slavic language. I also have a problem with the use of the term invented, as it makes it sound as if Yiddish is not a natural language (in the technical sense); there is, however, no evidence that Yiddish is a constructed language, like Esperanto or Klingon, let alone an argot. But let’s go back to Das et al.’s reconstruction of history. In the 9th century (some or all of these) “Irano-Turko-Slavic” Jews “began settling in Western and Eastern Slavic lands, [where] Yiddish went through a relexification process, i.e., replacing the Eastern Slavic and the newly acquired Sorbian vocabularies with a German vocabulary while keeping the original grammar and sound system intact” (page 5). Why the Jews would introduce German(ic) vocabulary into their language if they settled in “Western and Eastern Slavic lands” remains a mystery. To be sure, there were German-speaking communities sprinkled all over the Slavic-speaking lands, and Germans were generally associated with the more urban and more prestigious social class; still, Yiddish has considerably more German-derived vocabulary than any West or East Slavic language—a fact that Das et al. offer no explanation for. It seems to me that Das et al. end up with this rather nonsensical scenario simply to bypass Germany and thus to dispute the consensus “Rhineland hypothesis”. If they were to say explicitly that the German influences occurred in or after the 9th century due to these ex-“Irano-Turko-Slavic” Jews from today’s Turkey (then part of the Eastern Roman Empire) resettling in Germany, it would reduce their proposal to a mere prequel to the “Rhineland hypothesis”, not an alternative theory. Whether any Jews migrated from present-day Turkey to Sorbian-, Czech-, or German-speaking lands in the 9th century, as depicted in Das et al.’s summarizing diagram (page 38), they must have eventually made their way to Eastern Europe—Poland, Ukraine, Belarus, Lithuania, and later Russia—just as the proponents of the “Rhineland hypothesis” claim. 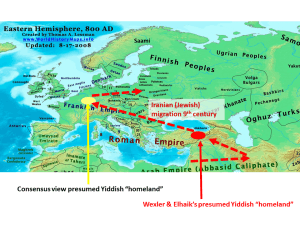 Thus, even if the hypothesized Iranian-Jewish migration in the 9th century took place (a claim whose validity I have serious reasons to doubt, as I will discuss below), Das et al. make no earth-shattering discoveries, do not contradict the consensus view, nor offer any solution to the problem of the Ashkenazi Jewish “demographic miracle” (see van Straten 2007 for a thorough discussion). It is also important to note that the research offered by Das et al., as well as the earlier works by Paul Wexler and Eran Elhaik, have been taken to challenge the historical, cultural, or genetic connection of Ashkenazi Jews to the Land of Israel. If read carefully, however, their article does not make this claim nor does it offer grounds for dissociating Ashkenazi Jewry from ancient Israelites. Even if we assume that Das et al. are correct in their story of “Irano-Turko-Slavic” Jews having moved to German- or Sorbian-speaking lands, with subsequent mass migration further eastwards giving rise to Eastern European Ashkenazi Jewry, we have to ask where those “Irano-Turko-Slavic” Jews came from in the first place. I do not think that Das et al. would dispute that a substantial number of Jews remained in Iran and the Fertile Crescent after the Babylonian exile. In fact, they explicitly claim that “already by the 1st century, most of the Jews in the world resided in the Iranian Empire” (page 5). While they claim that their “Irano-Turko-Slavic” Jews were ethnic Iranian, Turkic, or Slavic peoples who adopted Judaism, it possible that they were descendants of these ancient exiles who adopted local languages. The only way to distinguish between these possibilities is by a careful examination of genetic evidence, but I do not think that Das et al. meet the burden of proof there, to which I return below. Thus, even if Das et al. are correct, the Jewish traders from the Silk Road would be merely a “stop over” on what would turn out to be a more circuitous route from the Land of Israel to Germany to Eastern Europe. But is the story of Ashkenazi Jews, as described by Das et al., correct? 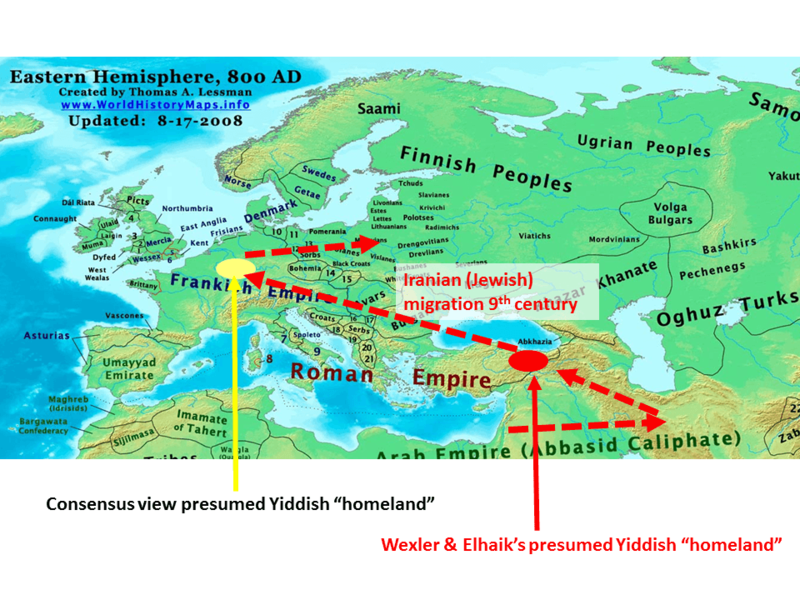 Did the migration route of the Jews from the Land of Israel to Germany take place via the Roman Empire (as most historians suggest) or did it take a detour via Iran and Turkey? Hopefully, genetic findings would be able to distinguish those two hypotheses. In particular, geneticists would have to figure out how much admixture from Iranian, Turkic, or Slavic peoples can be found in Ashkenazi Jewish gene pool (and how much admixture from Italians, for example), what the nature of that admixture is (e.g. did it come from both genders equally or predominantly from men or women? ), and most crucially when this admixture has occurred. While I am not qualified to evaluate the genetic methodology and claims in Das et al., several geneticists I have spoken with were quite skeptical about their genetic findings. In particular, they point out that the GPS technique used in Das et al. can “diagnose” only relatively recent admixture (i.e. not admixture from “primeval” groups). Also, the entire research program examining the extent of the Khazar admixture among different Jewish populations runs into a serious problem of the lack of present-day direct and easily identifiable descendants of the Khazars. Simply put, who among living peoples should the Jewish genomes be matched to? Elhaik has used Caucasian groups, such as Armenians, as a proxy for Khazarians of yesteryear. In an earlier post, I reviewed Razib Khan’s eminently sensible critique of this approach. Essentially, other research has shown that Armenians are close to all Jews, not only Ashkenazi Jews, for whom such Khazarian connection has been claimed, as well as to non-Jewish peoples of the Fertile Crescent and the Near East such as Kurds and Turks. Therefore, to the extent that Ashkenazi Jews show some genetic similarity with Armenians, this finding can be attributed to an areal contact in the ancient Fertile Crescent rather than to the Khazars. However, even if subsequent (and hopefully more careful) research shows that Ashkenazi Jews trace their physical descent to Turkey, Khazaria, Ukraine, or Sorbian lands—make your pick!—this issue is irrelevant to the question of the origin and development of their language, Yiddish. One might argue that this issue is unimportant for an article published in Genome Biology and Evolution. Yet, the authors themselves focus on Yiddish as much as the genetic issues, with the phrase the Yiddish language opening the abstract, where the word Yiddish appears three times in the first three sentences, and 87 times in the entire paper. So what is the relevance of Yiddish to genomics? Das et al. 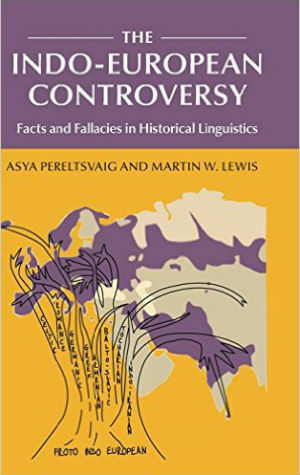 make an explicit assumption of “the strong relationship between geography, genetics, and languages […], implying that the geographical origin of Yiddish would correspond to that of Yiddish speakers”, an assumption that is utterly unjustified. While a relationship between languages and genes often clearly exists, human linguistic history is rife with examples of peoples whose physical descent (i.e. their genes) and their languages do not match at all (see my earlier posts here, here, and here). 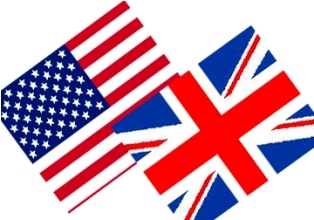 Among such discrepancies are most Native North American peoples: the majority of whom speak English but are not genetically related to Anglo-Saxons, Scandinavians, and/or Celts. Similarly, African-Americans carry genes of their West African ancestors despite speaking English and no West African languages. 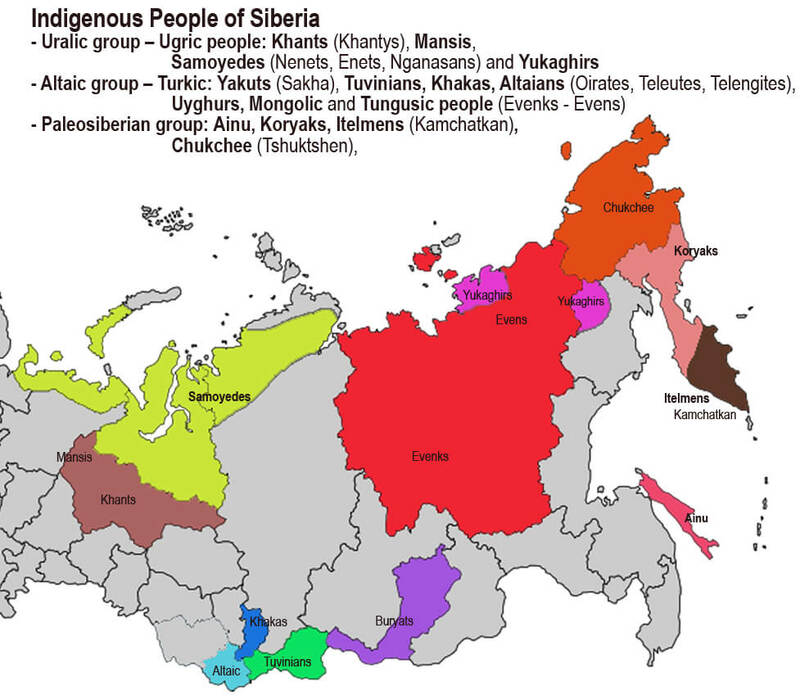 Likewise, most indigenous peoples of Siberia and the Russian Far North speak Russian, but are not genetically Slavs. In Africa, Pygmies speak Bantu languages yet are genetically very distinctive; in contrast, Hadza and Sandawe show more genetic similarities to the Bantus and the Pygmies, yet speak languages that were classified as Khoisan. (More recently, this classification has been challenged, yet nobody to the best of my knowledge claims that Hadza and Sandawe languages are Bantu or more generally Niger-Congo.) 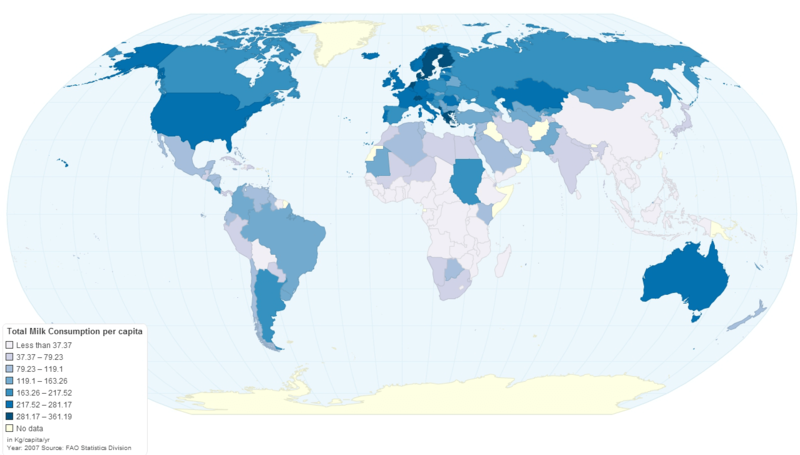 Finns, Saami, and Hungarians too illustrate the non-correlation of genes and language. The list can be easily continued. It is therefore impossible to claim that wherever Ashkenazi Jews come from genetically, the origins of Yiddish are necessarily to be found in the same locale. What’s more, the claim of Das et al. that whatever language their “Irano-Turko-Slavic” Jewish merchants spoke was the precursor of Yiddish does not hold water. According to Das et al. themselves, that language had no German(ic) elements whatsoever. Any German or “Germanoid” vocabulary in modern Yiddish is to be attributed to a later relexification (i.e. massive lexicon replacement), they claim. The grammar of modern Yiddish, they maintain, is thoroughly and unequivocally Slavic (with elements of Iranian and Turkic, though they never cite any examples of such grammatical elements). Crucially for them, Yiddish grammar is not, and has never been, Germanic in nature. Why then do they call the language of “Irano-Turko-Slavic” Jewish merchants “Yiddish” since, according to their own claims, it was a completely different language? This labeling makes as much sense as calling English a West African language just because some of its native speakers trace physical descent to West Africa, or calling Russian a Paleo-Siberian language because some of its native speakers trace physical descent to Paleo-Siberian ethnolinguistic groups (e.g. Itelmen). A more reasonable claim would be that the “Irano-Turko-Slavic” Jewish merchants, to the extent that they existed and migrated en mass to Germany or Slavic-speaking lands, spoke one language in their original homeland and then underwent a language shift, much like African-Americans or Siberian peoples did. This brings me to the most fatal, from a linguist’s perspective, flaw of the Das et al. 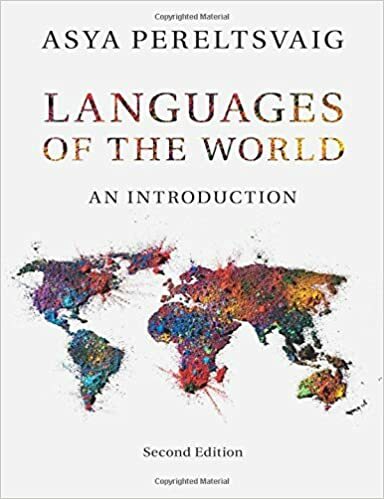 article: their claim that “Yiddish grammar and phonology are Slavic (with some Irano-Turkic input) and only some of the lexicon is German” (page 21). This is a very odd claim indeed, and it is completely unsubstantiated in this article, except for a reference to a book chapter by one of the article’s authors, Paul Wexler (Wexler 2012). As this is the crucial point, on which the legitimacy of the entire argument about the origins of Yiddish depends, at least some evidence for the validity of the claim needs to be presented in the article, not buried in some semi-obscure publication (not available at Stanford library, Google Books, or Amazon). In his other works, Wexler has presented arguments for the Slavic nature of Yiddish grammar, but they are limited mostly to loan derivational morphology, calqued grammatical morphemes, and phonological patterns, which can be borrowed from one language into another. The grammatical system of Yiddish, however, looks far more Germanic than Slavic: Yiddish has definite and indefinite articles, which express gender and case; its case system is Germanic too (none of the peculiarities of Slavic case system, like the Genitive of Negation, are present in Yiddish); and its word order is subject to rules like Verb-Second, not information structure. While Yiddish borrowed the Slavic multiple wh-fronting pattern (e.g. “Who what has bought?”), it retains the Germanic pattern where only one wh-expression is fronted (cf. Diesing 2003). Similarly, as shown in detail by Peter Arkadiev (2015), even though Yiddish calqued some aspectual prefixes (e.g. cumulative on– by analogy with the Slavic na-), the overall aspectual system looks Germanic rather than Slavic. In my own research (Pereltsvaig in press), I have shown how the extension of the Verb-Second pattern from main to embedded clauses might have resulted from Slavic influence on a Germanic language; the same data cannot be explained as a result of Germanic influence on Slavic. The burden is thus on the advocates of the Slavic origin of Yiddish to show how its grammar can be analyzed by applying Slavic models. Short of that, the argument is not particularly convincing. Overall, I think that Das et al. manage to muddy the waters—by using sloppy historical-geographical nomenclature, imprecise terminology, and references to authors’ own earlier works, which few readers would bother to track down—to make an impression that there is a viable alternative to the consensus Rhineland hypothesis, one that indiscriminate readers could use to make ideological statements with far-reaching geopolitical consequences. It is bad enough when solid science gives rise to bad ideological misuses, but when bad science feeds such political spin-offs, the moral burden is both on the ideologues and the scientists themselves. Arkadiev, Peter (2015) Areal’naya tipologiya prefiksal’nogo perfektiva. Moscow: Jazyki slavjanskoj kultury. Das, Ranajit; Paul Wexler, Mehdi Pirooznia, and Eran Elhaik (2016) Localizing Ashkenazic Jews to primeval villages in the ancient Iranian lands of Ashkenaz. Genome Biology and Evolution Advance. Diesing, Molly (2003) On the Nature of Multiple Fronting in Yiddish. In: Cedric Boeckx and Kleanthes Grohmann (eds.) Multiple Wh-fronting. Amsterdam: John Benjamins. Pp. 51-76. Golden, Peter B. (2007a) Khazar Studies: Achievements and Perspectives. In: Peter B. Golden, Haggai Ben-Shammai, and András Róna-Tas (eds.) The World of the Khazars: New Perspectives. Handbook of Oriental Studies 17. BRILL. Pp. 7–57. Golden, Peter B. (2007b) The Conversion of the Khazars to Judaism. In: Peter B. Golden, Haggai Ben-Shammai, and András Róna-Tas (eds.) The World of the Khazars: New Perspectives. Handbook of Oriental Studies 17. BRILL. Pp. 123-162. Pereltsvaig, Asya (in press) On Slavic-influenced Syntactic Changes in Yiddish: A Parametric Account. In: Yohei Oseki et al. (eds.) Formal Approaches to Slavic Linguistics. The NYU Meeting. Plohy, Serhii (2015) The Gates of Europe: A History of Ukraine. New York: Basic Books. Van Straten, Jits (2007) Early Modern Polish Jewry The Rhineland Hypothesis Revisited. Historical Methods: A Journal of Quantitative and Interdisciplinary History 40(1): 39-50. Wexler, Paul (2012) Relexification in Yiddish: a Slavic language masquerading as a High German dialect? In: Danylenko A, and Vakulenko SH (eds.) Studien zu Sprache, Literatur und Kultur bei den Slaven: Gedenkschrift für George Y. Shevelov aus Anlass seines 100. Geburtstages und 10. Todestages. München, Berlin: Verlag Otto Sagner. Pp. 212-230.